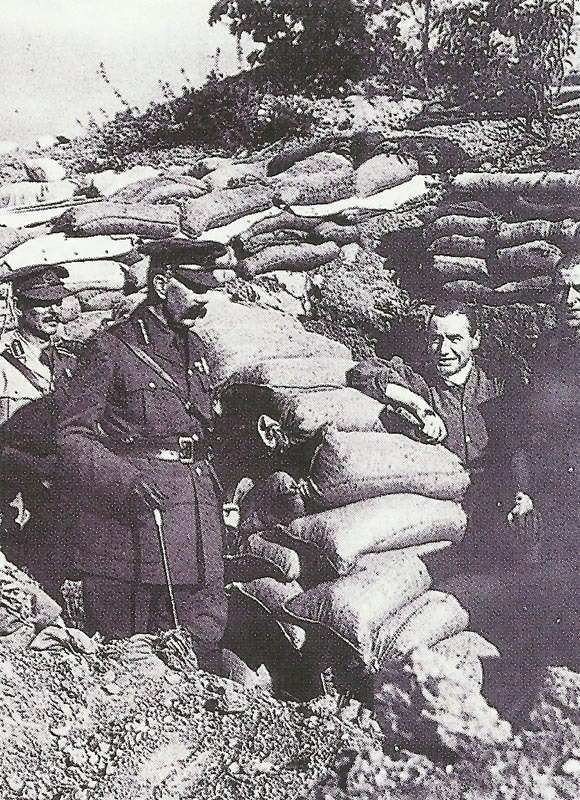 The highly respected Lord Kitchener at a field inspection in France. Britain: All-Party manifesto on National Service. Lloyd George tells War Policy Cabinet Committee ‘The longer you delay, the nearer … disaster’. But Kitchener defends voluntary service on August 24. Kitchener visits France to see Joffre, convinced Allied autumn offensive necessary due to Russian collapse. Artois: Falkenhayn warns German Sixth Army that Allied offensive imminent. Russians retreat to Brest­-Osovyets-Kovno line. Balkans: Montenegrin border success against Austrians. British accepts 1,000 South African soldiers for defence of Rhodesia. Western Desert: Pro-Senussi bedouin attack 2 Royal Navy submarine crews at Ras Lick anchorage. Irish Sea: U-boat shells Cumberland coast at Whitehaven (no casualties). Greece: Government resigns after Chamber defeat, Venizelos again Prime Minister.